When creating a new meeting you can add a lot of information during the initial meeting creation flow using natural language. 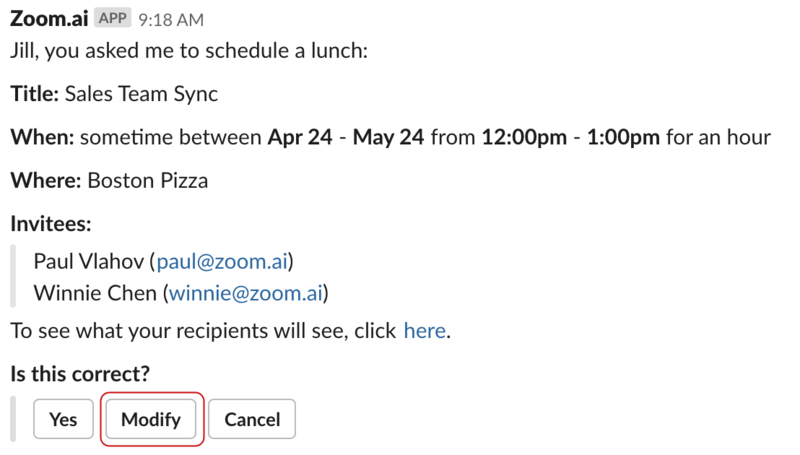 For example: "Schedule a lunch with Paul and Winnie at Boston Pizza for a "Sales Team Sync". 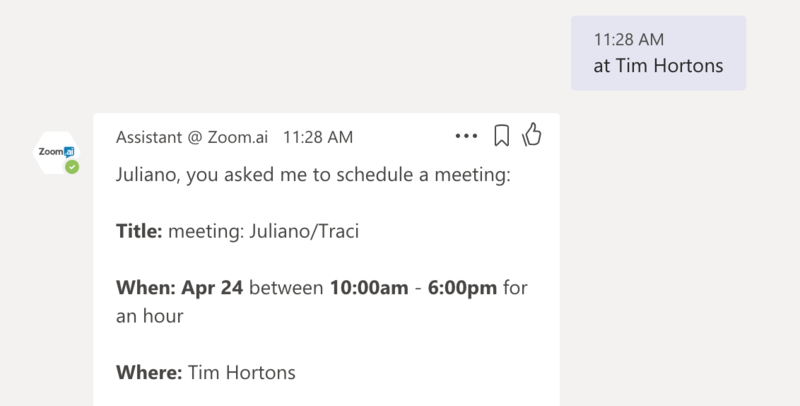 In the example above, we added the invitees (Paul and Winnie), the location (Boston Pizza), the meeting title (Sales Team Sync) and referenced the meeting type (Lunch - which defaults the meeting preferences like timeframe to automatically match the related meeting settings). TIP! Scroll below for a handy run down on what details you can specify and how best to ask your assistant. You can also easily modify a request as you go during meeting creation to add new details or modify existing details. To modify simply type in the changes you want until the meeting details are as required. Click the Modify button at the bottom of the assistant's response to be reminded of the best way to request the change. Use with to replace invitees [with Roy and Sam]. This will replace all your existing invitees with those you now list. TIP! You don't need to add yourself to a meeting. As the meeting creator it is assumed that you are attending. Meeting titles are important as they represent the subject and importance of a meeting to potential attendees. 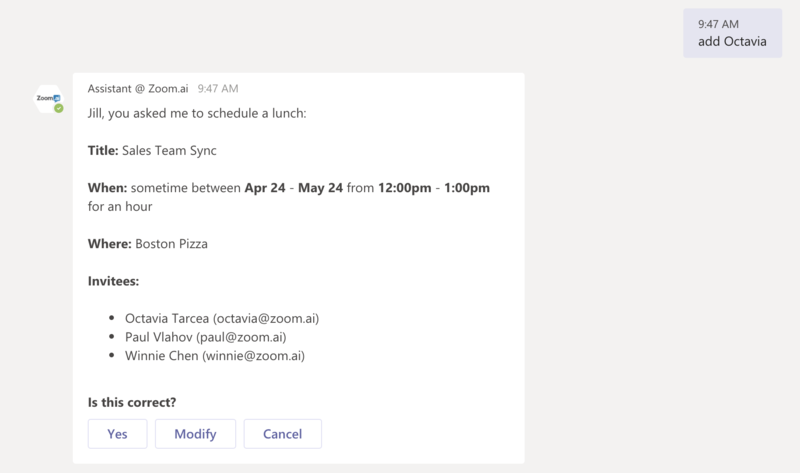 Did you know you can set a default meeting location from your meeting settings? To add a room simply say with a room or add a room for and the room capacity you need [add a room for 6].